Gorgeous New Crane Box Sets are Here! 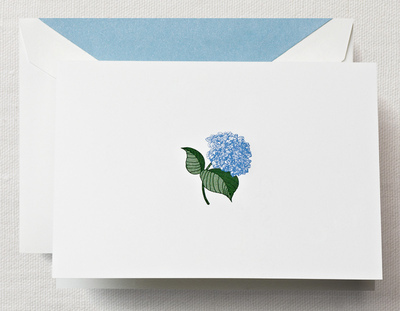 Nothing inspires me to write a thank you note like a beautiful box of Crane & Co. stationery. We just added beautiful new note card sets to our Crane & Co. collection that will definitely inspire you to write! Here are a few of my favorites. Their clever descriptions are just as fun as the cards themselves! Let’s sip bellinis by the pool, under a shaded palm until the sun sets for the day. With a favorite pen and stationery, of course, the latter courtesy of this engraved correspondence card. 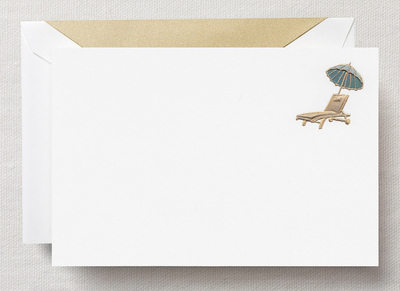 Perfect for notes home from St. Tropez or summertime hellos. 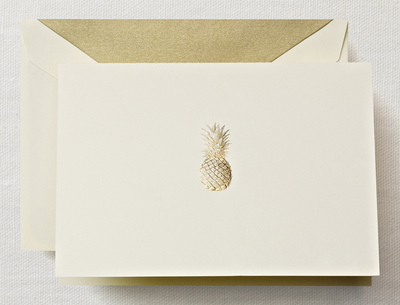 A symbol of hospitality, the pineapple was once considered quite the commodity. Had you been a 15th century European king, surely many were delivered to your castle. We like to think they still do — in the form of a thoughtful note to the gracious hostess or new neighbor. 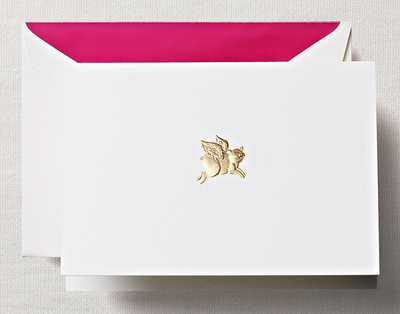 Get off to a flying start in correspondence with these whimsical notes boasting a hand engraved golden pig with wings. 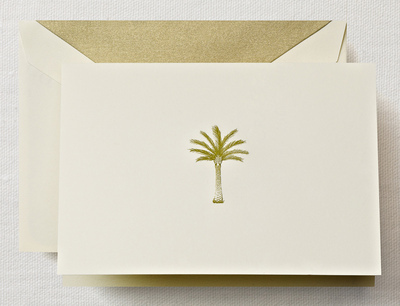 A symbol of victory, palm branches were often given to winners of prestigious games and military battles in Rome. Thus, such an image is the perfect accompaniment to a note of congratulations for a diploma or promotion well deserved. Comments Comments Off on Gorgeous New Crane Box Sets are Here! ← Can we pretty please have Spring?